While the rewards for a homeowner appear to be clear, for a painter cabinets are extremely challenging and difficult. Not just any painter can take on a cabinet project and actually give the homeowner an excellent job. It takes years of experience, or should we say hundreds of kitchens, to develop the necessary expertise and know-how to deliver an outstanding finished product. These projects are what separates the fly-by-nighters from the true artisans. In fact, this is an opportunity to showcase our work. 2. How do you know we are the right painting contractor? As we said above, the kitchen is where we spend most of our time when we are home; therefore choosing a painting contractor who will be able to complete the job in a timely manner is key. If you ask a painter how long the job is going to take, and he is hesitant, it is because he lacks the necessary experience. That’s probably not the right fit for you. 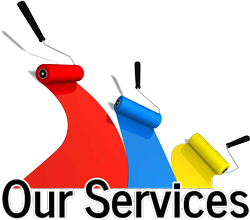 We’re fast and meticulous… Master Painters is obviously your best choice! We have many photos to show you of past projects.The biggest thing we emphasize to our project manager and painters is the importance of disrupting the homeowner’s life as little as humanly possible. We 100% understand the difficulties and strains any sort of renovation, whether big or small, can have on a family, especially if the family is living in the house during the renovation. Glazing is a technique applied to achieve an antique look. Although mainly used in cabinets, furniture pieces are also good candidates for glazing. It’s certainly a great way to add flare to or change the look of any kitchen (given that the cabinets are painted, not stained) for relatively less cost, effort, and time of completion.